The International female group “Labelle” is recognized as the funk rock-psychedelic soul girl band. This in itself is outstanding history for a female vocal group of color. “Labelle” has traveled and performed in the European market and the United States spreading this unique style of music artistic expression in other countries, for religious and government dignitaries. They have really functioned as Musical and Cultural Art leaders of Philadelphia simply by sharing their culture, music and artistic styles with the world. These ladies are celebrating more than fifty years in the entertainment arts and they are still a viable brand as well as having solo careers within the entertainment arts. They have been a part of transforming racism, cultural issues, style and education within the entertainment arts for more than fifty years. They are revered by their colleagues and fans alike. 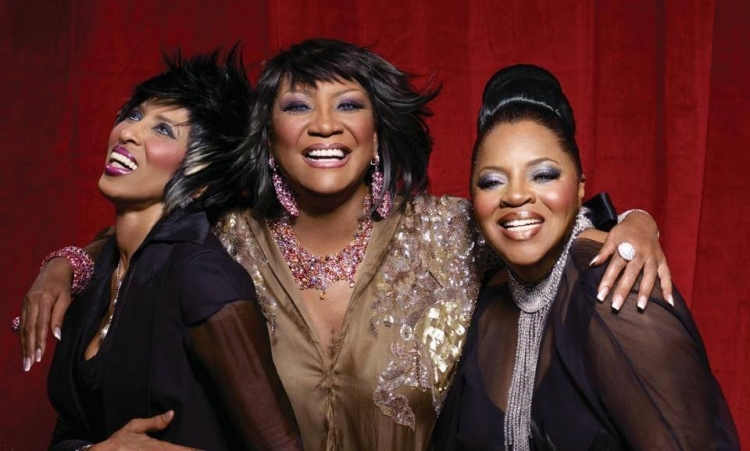 When “Labelle” comes to mind, you immediately think of their most famous song, "Lady Marmalade" in 1974, providing their audiences with an electrifying, moving, exciting, and entertaining stage performance. They are notable for being the first contemporary pop/funk rock group and first black pop group to perform at the Metropolitan Opera House, The Erlanger Theatre, and listed on the wall at the Apollo Theater with other musical legendary artists. The female group members are Pattie LaBelle, Nona Hendryx, and Sarah Dash who are innovating, inspiring, and exciting to watch on stage. In 1976 each member went on to pursue their own solo careers with extraordinary success. We at the G.E.M.A. Foundation are dedicated to supporting, preserving, and documenting the educational, musical, and cultural arts of America. This petition is simply our vehicle to encourage, gain positive attention, and motivate the Philadelphia City Council members of Philadelphia, Pennsylvania to vote unanimously in favor of recognizing and honoring “Labelle” with an Official Street Sign in Center City Philadelphia. The electric-dance/pop and r&b culture of this female band’s contributions to the arts have earned this high-profile honor from the Common Wealth of Philadelphia, Pennsylvania. If you agree that “Labelle” deserves this amazing honor in Philadelphia, we ask that you sign this petition. We seek acknowledgment of their creative contributions worldwide, their impact within the musical arts, and gain public awareness in celebrating Philadelphia’s Musical and Cultural History by “Recognizing Excellence” – the awesome group, “Labelle”! The Philadelphia's Musical & Cultural History-Labelle petition to The Philadelphia City Council Members was written by Global Entertainment Media Arts and is in the category Arts & Entertainment at GoPetition.